The remarkable story of the Jupiter Symphony’s maverick founder. Renegade, Maverick, Genius — these are just a few of the words used to describe Conductor Jens Nygaard, a legendary presence in the New York music world. His journey from child prodigy in rural Arkansas to New York's Carnegie Hall is chronicled in this musical portrait, The Jens Nygaard Legacy. Within the story of this great conductor we also learn of the impact a great creative force can have on succeeding generations. 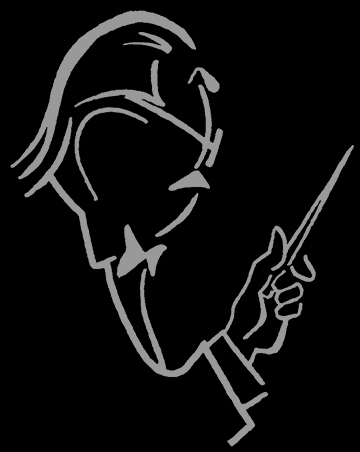 Jens left us one of Manhattan's continuing classical music treasures, the Jupiter Symphony. The Legacy of Jens Nygaard, renegade conductor of his Jupiter Symphony orchestra, tells the inspiring story of a prodigy turned professional musician who endured mental illness and establishment rejection to become a legend within his own lifetime and now, long after his demise. Independent documentary filmmaker Martin Spinelli has made a one-hour video program that brings Nygaard’s hard-won success story to film. The musical portrait documents performances from Beethoven to Gershwin and interviews with performers, students, critics, and supporters. Nygaard speaks of his life and career with charm, candor, and his inimitable enthusiasm. Even when discussing his battle with multiple myeloma, Nygaard exudes a telegenic charisma. The tale of this maverick conductor and his magnificent, young orchestra is now for sale on DVD. The Educational Edition provides the full JENS NYGAARD LEGACY program for use within your organization. On line through Vimeo and on the two disk DVD, we include LIFE ON JUPITER, a CODA for JUPITER, a related documentary NEW YORK CANVAS, and several additional support materials: examples of Jupiter Symphony music; a full list of programs performed by the Jupiter Symphony Chamber Players over the years; and samples of the Jupiter Symphony Chamber Players performances. The entire program illuminates how a musical endeavor like Jens Nygaard's Jupiter Symphony impacts the lives of musicians and audiences. This rich musical portraitdocuments performances from Beethoven to Gershwin and interviews with performers, students, critics, and supporters.